When Chicagoland Commercial Roof leaks happen, it is imperative to properly fix them with a minimum of fuss. It is important to detect leaks, ponding and other developing Commercial Roof issues as early as possible to avoid expensive roof repair projects. If there is an underlying problem causing the leak, it must be expertly diagnosed so a proper leak repair can proceed. Emergency repairs prevent moisture intrusion until permanent repairs are possible. Since 1972 we have been providing the Chicagoland Area with the highest quality Commercial Roofing and Tuckpointing repair services. At Expert Super Seal Roofing & Tuckpointing our entire Chicagoland Commercial Roofing team stands behind our motto, “We do it right the first time, every time.” Our crews are professional, experienced and skilled. Commercial businesses seeking a qualified Commercial Roofing and Tuckpointing contractor value that we stand behind our work. We want your current Commercial Roofing requirements fulfilled while also developing a long-term business relationship. Expert Super Seal Roofing & Tuckpointing is a full-service Commercial Roofing company you can count on to be there for you when you need us. Looking for a Commercial Roof Maintenance, Commercial Roof Repair or Commercial Roof Replacement quote? We understand your time is important and can get you a fast, competitive quote. 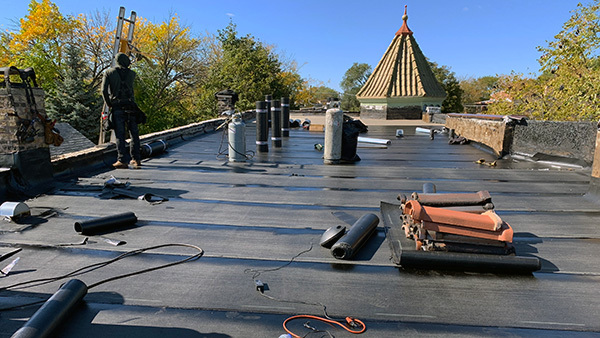 Whether your Commercial Roofing project is located in Chicago, Aurora, Rockford, Joliet, Waukegan, Naperville or anywhere in between, the professionals at Expert Super Seal Roofing & Tuckpointing will get the job done right the first time, every time. The materials we use for low-slope Chicagoland Commercial Roofs are durable, energy-efficient and low-maintenance. 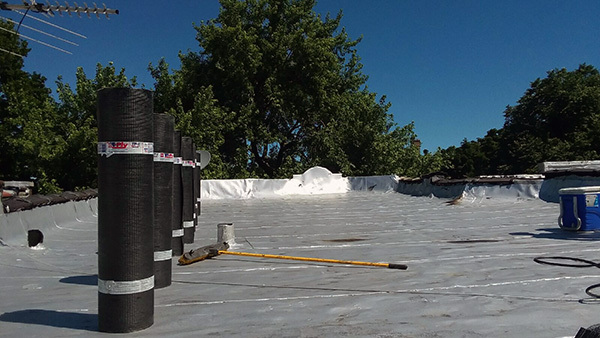 Single-ply roofing membranes are fabricated from either polyvinyl chloride (PVC), thermoplastic polyolefin (TPO) or ethylene propylene diene monomer (EPDM). PVC single-ply membrane roofs are durable, reliable and long-lasting. Seams are hot-air welded, and the system is mechanically fastened to the structure. Like PVC, TPO single-ply Roofing is mechanically fastened and seams are hot-air welded. 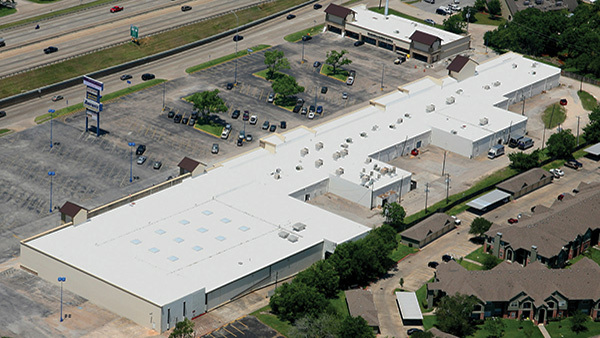 TPO roofing is the fastest-growing segment of the commercial roofing industry. The material is highly resistant to tears, punctures, impacts. It’s also resistant to ultraviolet light and many chemicals. 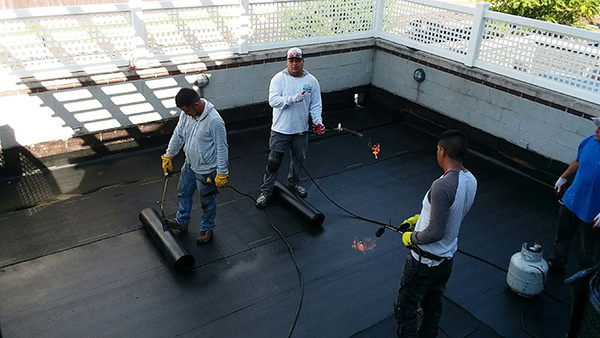 EPDM fully-adhered roofing systems offer many advantages, including superior hail resistance. The cost of modern single-ply membrane roofing is fairly modest when you consider longevity, energy savings and low maintenance costs. Since the right decision can save your company thousands of dollars over the life of your new roof, it is wise to do your research. There are some variations in cost among today’s popular single-ply systems. For example, TPO is sometimes a lower-cost option than PVC.